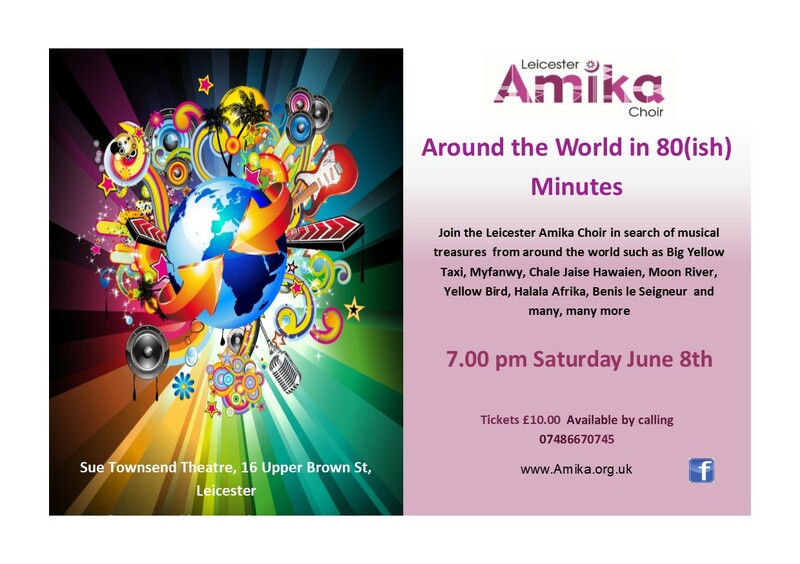 Amika are available for hire for full concerts, garden parties, Galas, weddings and funerals subject to the choirs availability. Una May also runs one day singing workshops. Please pass on our thanks and we had so many people say that they had never seen or heard a choir or a service as memorable. You have all contributed to what was the happiest day of our lives so far. May we wish you all a wonderful, peaceful and happy 2019. "Hi what a wonderful concert! I think it was the best introduction I’ve ever seen/heard I was so moved by the passion and positive energy flowing from the stage, it literally brought tears to my eyes." I travelled from London for the concert and want to congratulate the whole choir on an enjoyable and inspiring evening. For me the African songs were the highlight as it reminded me of thirty years of joining in freedom songs in protests outside South Africa House and elsewhere during the apartheid years.... Not that we managed to achieve the standards of Amika! I loved all the solo voices and I am sure every choir in Leicestershire would be green with envy if they knew you had a counter-tenor in your midst. The standard you have reached with the choir members relying solely on memory is a tribute to your wonderful skill, Una. Long may the choir continue.